What keeps plugin developers going is not the revenue earned, but customer achievements. The Nirvana moment for a developer is when people fulfill their dreams using his product built with hard work, skills, and patience. Dokan has grown by leaps and bounds for the last 4 years and established itself as one of the most sought-after eCommerce multivendor marketplace plugins for WordPress. During this time, the plugin has had its share of good and bad days. What remains true is Dokan has overcome obstacles every time to reach this height with customer feedback and support. A lot of customers regularly relate to us their experiences and joys when using Dokan to run their eCommerce marketplace. Dominique Deutzmann is an enthusiastic entrepreneur from Germany. He works as a Supply Chain Manager in a corporate company and manages his own business alongside. 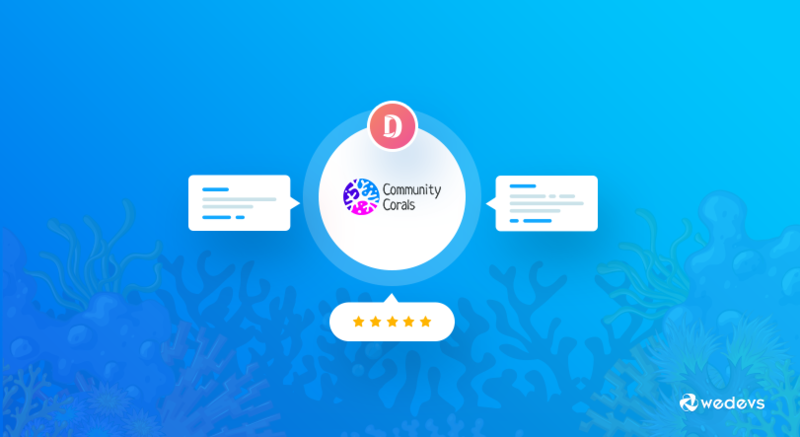 Dominique built CommunityCorals in 2017. 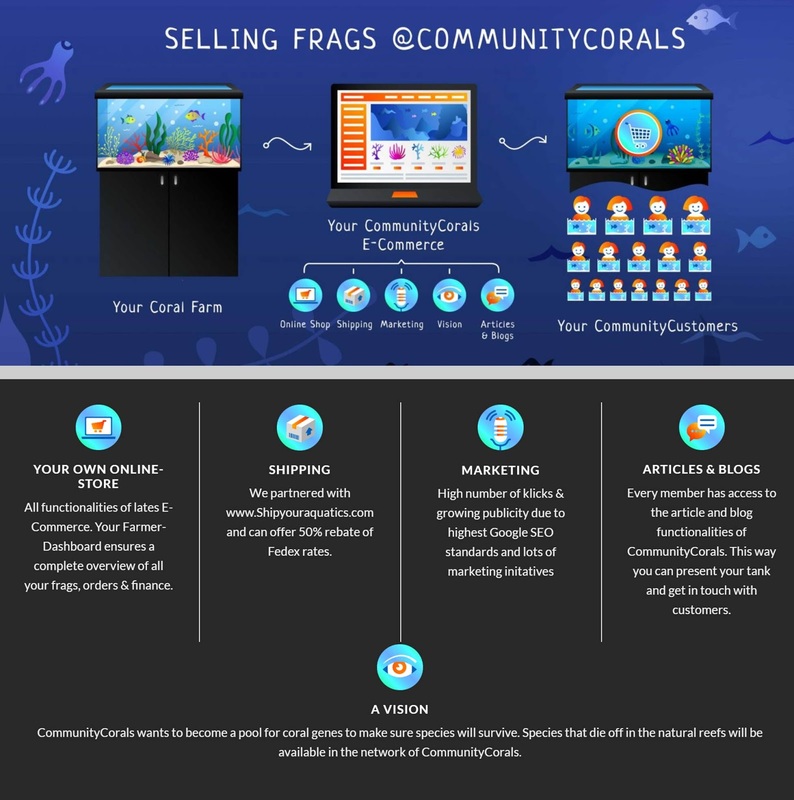 This online marketplace is predominantly targeted for passionate coral aquarists and farmers who actively take an interest in the protection, survival, and propagation of aqua-cultured corals. Dominique envisioned his marketplace to comprise of aqua-cultured coral propagates who are aware of natural reef conditions and actively engage in the regeneration and preservation of coral species. In CommunityCorals local farmers and reef aquarists join each other to interact, propagate, and buy and sell coral frags at a fair price. Through reproduction and redistribution of coral genes within the community, the number of frags will multiply and grow significantly in numbers. They have named this process Next Generation Reefing. In this way CommunityCorals is ensuring survival of the coral species and helping the preservation of local reefs. It is a hub for coral lovers who are passionate about protecting the next generation of aquatic coral species. As an amateur in the eCommerce business, Dominique wanted a solution that was easy for non-developers to start an online marketplace site. Because of the wide web presence of Dokan in search engines, the plugin was easy to come across. After analyzing its features, competencies and position in the industry, Dominique was convinced about Dokan Multivendor to build his site. The plugin is built upon one of the top CMS, WordPress, and driven by the most popular eCommerce platform, WooCommerce. This trio proved to be brilliant to support his business goals. Not only that, he also found the plugin easy to install and operate. Now, through all the opportunities that Dokan is providing, he is giving an identity and platform to numerous previously unknown enthusiastic reefers who now are able to connect and buy and sell online. Dokan, thus allows, both professional coral farmers and hobbyist aquarists to reach a huge number of people interested in coral frags. It's a great way to enjoy the hobby as well as earn as money doing it! Dominique has successfully built his eCommerce site on WordPress without writing a single line code and established it within a year. The Dokan online marketplace allows reef aquarists and coral vendors to have their individual coral farm store. Here each reefer can open up their own store and beautifully showcase coral frags for selling. 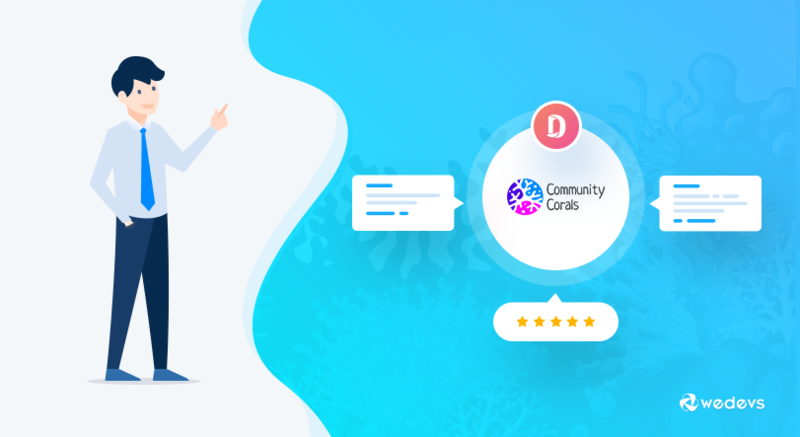 The intuitive interface of Dokan allows coral vendors to execute this easily. With the Dokan Business Package, he gets to receive regular customer support, plugin updates, and several modules that keep adding. ”As an integrated part of Dokan, sellers can maintain their individual shipping rates in their seller dashboard and offer to their customers at checkout”. In Dokan, a vendor can insert custom SEO title, meta, permalink, and description for his store page directly from the frontend dashboard! Dominique opened his marketplace in July 2017 in Germany and targeted locals living in the region. After successfully running and receiving recognition for his first marketplace in Germany, he also spread the business in US and Austria within the span of a year. Since Dokan is fully multilingual supported he was able to achieve this and translate the site easily for his English and European customers. Initially when spreading his business in the US, he faced certain challenges with respect to shipping and PayPal payments. He was able to overcome these obstacles by using Dokan's extensive zone-based shipping and Stripe payment support. Now his coral sellers can do business with anyone around the world! So that's how Dominique Detuzmann single-handedly managed to build an online community and marketplace from scratch for passionate coral reefers, aquarists, and enthusiasts using Dokan Multivendor Plugin. We commend Dominique for the hard work it took to successfully establish his eCommerce business and grow it transnationally. We also hope Dokan made this journey easier. The plugin from the beginning has aimed to help small-and-medium sized businesses achieve their needs and full potential. So for the entire team it's a big deal when users believe in our efforts consistently so much so that they stick around through good and bad to show their faith in Dokan and the team. Do you also have any success story to share with us? Let us know in the comments!